MCKC members earned 7 titles at the December rally trials in Oshkosh! Click here to view the photo! 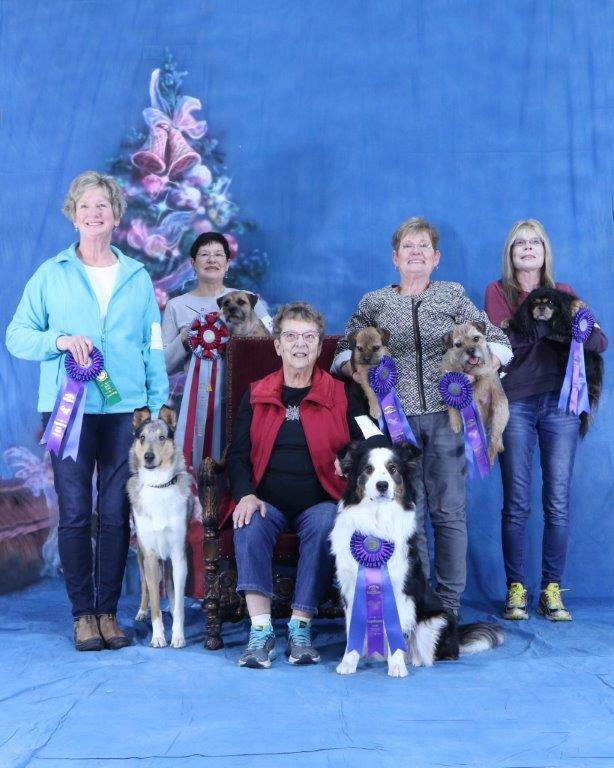 From left to right: Donna Hlavachek and Dillon: RN; Laurale Stern and Caby: High Triple Q; Carol Paplham and Dude, RN; Jennifer Tollefson and Brie (RI) and Mitchell (RAE) and Kay Christel and Cassidy, RA. Not pictured: Judith Perlman and Ollie eared their RE.